Can an Animal Whisperer Help with Euthanasia Decisions, Transitions & Grief? The time of an animal’s passing can be a very traumatic and emotional period for both you and your animal friends. 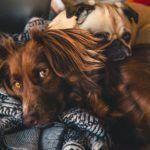 Animal communication, aka Animal Whispering can be THE means to help you both move through this transition with greater ease, calmness and a sense of peace and grace. When your animal is nearing their transition time, communicating with you can be very reassuring. You need to know their wishes, how they feel, what they need, what helps and what makes thing worse. They may have something important that they want to share with you. They can reveal their physical comfort (or discomfort), the effects of treatments and/or medications (helping or not? ), any eating challenges or emotional and spiritual matters. Communication with your animal at this time helps you understand how they want to be supported during their transition. 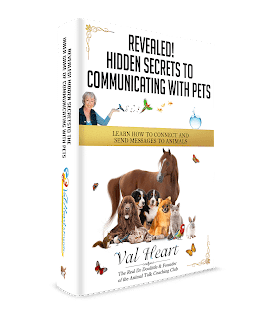 Animal whispering Communicating with them also lets you both share what is in your heart, and helps you create a sense of completion. Is your animal nearing their transition time? Have they already crossed over and you would love to communicate with them again so you know how they are doing? Are you having trouble coping with the loss and grief? Don’t waste another minute dreading, worrying or wondering. Help is at hand. Click the Work With Val menu (above) and get the consultation that works for you. Soon, we will find out what they really need, what they want, and where they are! It’s time to talk to them. 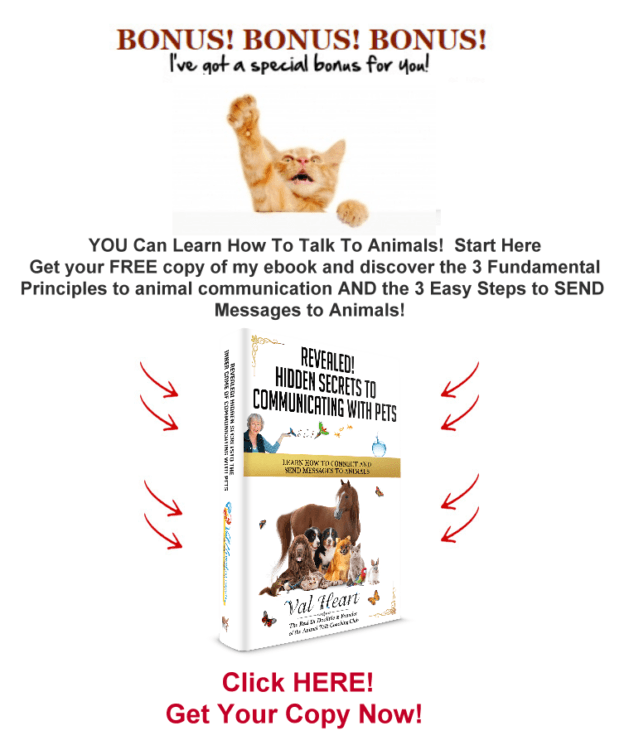 Want to learn more about Whispering with Animals? Click Here! Blessing the Bridge: What Animals Teach Us about Death and Dying and Beyond, by Rita Reynolds.